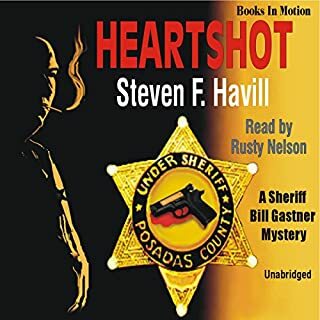 When the first Posadas County Mystery, Heartshot, was published in 1991, Bill Gastner was the county undersheriff. Over time Bill became sheriff, then retired, and Robert Torrez took over the top spot. But what were Torrez's first days as a rookie officer like? Terrible! It's 1986. Undersheriff Bill Gastner is enjoying his usual insomnia alone inside his old adobe when jolted by a horrendous noise. Dreading what he will find, he hastens to the nearby interstate exit where a violent crash has occurred. Not only is the vehicle that struck the support pillars totaled and the driver and a passenger crushed inside, a dead boy has been ejected. As the appalled Gastner recognizes the youth and swings into action, the first deputy to join him at the scene is rookie Robert Torrez, the department's newest hire. Before Gastner can head him off, Torrez sees that the boy is his spirited younger brother. And the girl crushed inside the SUV is a younger sister. The driver of the Suburban, also dead, is the assistant district attorney's teenage son. Two local family tragedies. A shaken couple reports that when the Suburban, careening at nearly 100 miles an hour, passed them on the interstate, activity inside hinted at its occupants' panic. Were the three dead kids running from someone - or something - rather than speeding? Further investigation reveals that a fourth teen should have been in the vehicle but is now missing. Where had the four kids been? And why? It appears they'd lied to their parents. The author's first name is Steven, not Stephen!!!! There are 25 audio books at Audible by Steven F. Havill and only one listed, incorrectly, by Stephen G. Havill. Easy Errors is the one with the incorrectly spelled first name. It is Book 22 in the Posadas County Mystery series by Steven F. Havill. The series which began with the 1991 release of Heartshot is set in fictional Posadas County, New Mexico. 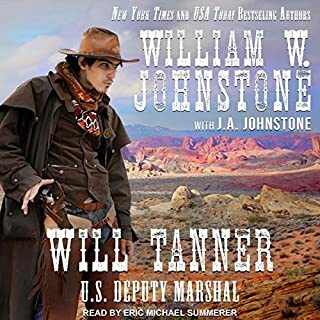 The protagonist of the first 11 novels in the Posadas County Mystery series is undersheriff and later sheriff Bill Gastner. When Gastner retired in Book 12 of the series Robert Torrez became sheriff and Posadas County series protagonist. Book 22 in the series, Easy Errors, goes back to 1986 when Robert Torrez was a rookie sheriff's deputy. The author wrote this recently released novel at the request of his fans. Easy Errors is a classic police procedural which has little action or suspense, but which deals with the intellectual and footwork aspects of smart cops solving a complex crime. 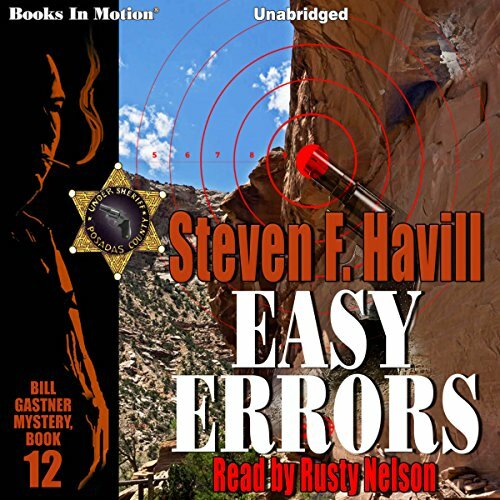 Rusty Nelson narrates Easy Errors as well as many of the other Posadas County Mysteries. He does a great job. I love reading the print version, but Rusty Nelson makes the story even better! I enjoy the characters, storylines, and setting of this series and can’t help but read each new book soon after it’s released. This story about Torres’ first days on the force is powerful and it was difficult to put the book down. 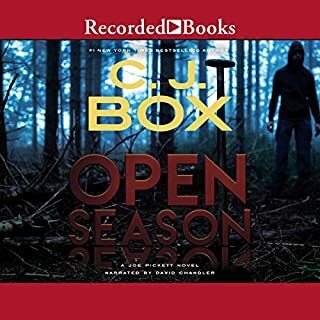 But I kept searching for the audiobook version, worrying Rusty Nelson had retired from narration, and that I wouldn’t get the gift of listening to him read the newest release. Luckily, Mr. Nelson did narrate Easy Errors and life is good. I am a huge fan of Steven F. Havill's Posadas mysteries, particularly the Sheriff Bill Gastner first person novels, narrated by Rusty Nelson. Due to an error in spelling the author's name, this title is not listed with the others in the series. THIS IS A CRIME FOR FANS LIKE ME. I just stumbled upon it today. I read the Kindle book when it came out and wondered why in the heck there was no Audible for it. 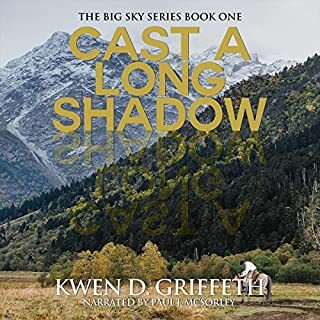 It's a great story in a great series with a great narrator. 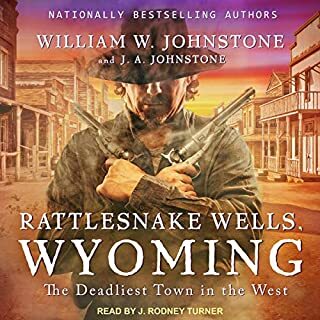 This author can create interesting and engaging characters and set a scene like no other, and it is a shame the books are not more widely known. A true. realistic portant of Police procedure, held my interest to the end. I would ;ike to listen to more from this series. 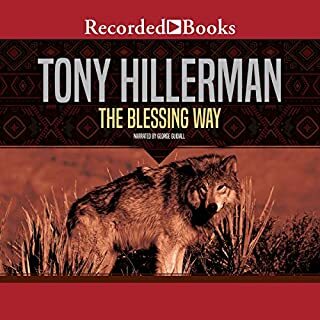 My wife and I never tire of the Bill Gastner series! Steven Havill has an amazing gift for describing the scene and his knowledge of County government is unparalleled! Keep them coming.